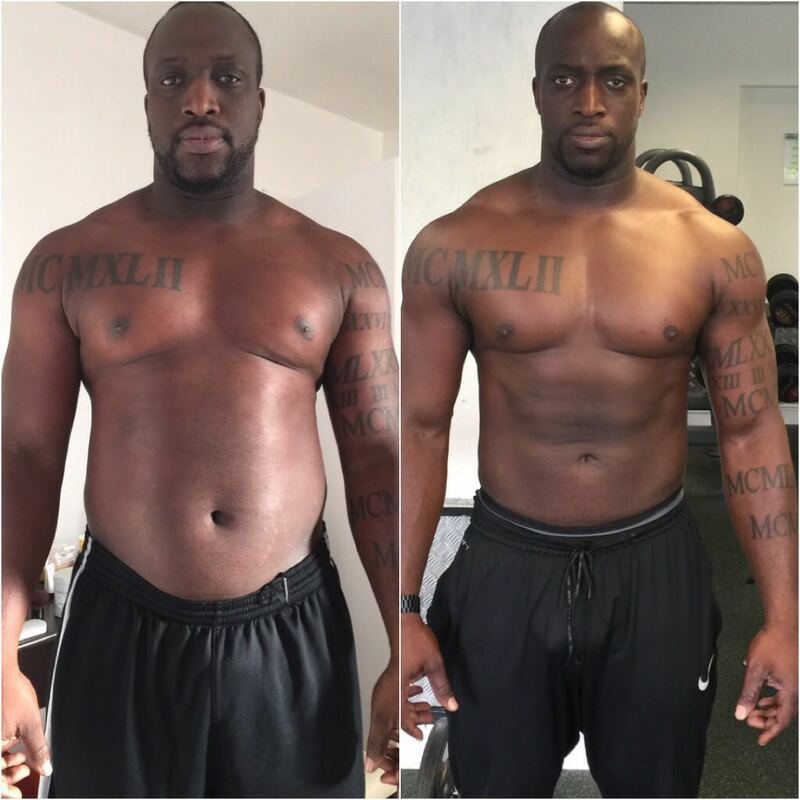 Emmanuel had lost 10kg before training with us but needed extra guidance and support to further his success. We restructured his training program and concentrated on building strength and muscle for his upcoming rugby season. The success of Emmanuel’s previous diet was limited as although he was restricting his carbohydrate intake he’s daily calorie intake was far too high. We’re very proud of what he has achieved but also feel a little concerned for the guys he’ll be playing rugby against this season! Bill decided to take part in a transformation package. Bill has a demanding and stressful job as a head teacher and had recently broken his leg playing football so had been unable to exercise consistently for a few years. Bill’s training consisted of 3 whole body works out per week with each session finishing with 5-10 minutes of conditioning. 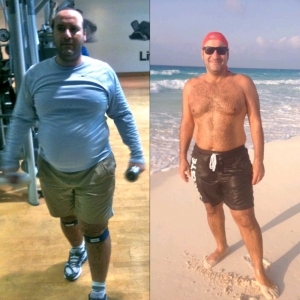 He was set a daily calorie limit, a daily protein target, given a supplement plan and some basic lifestyle guidelines. 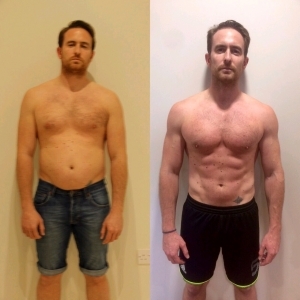 His nutrition plan was easily tracked on an app and we adapted it so that he could still enjoy nights out at the weekend, a holiday to Ibiza, a music festival and a few weddings! Asia’s goal was to tone up and get stronger. Asia had been running and doing yoga regularly but this hadn’t given the results she wanted. She had previously suffered from a back injury and hadn’t done any structured resistance training. Asia could train with us 1-2 sessions a week depending on her schedule, so we develop a simple program that she could also do alone. As her confidence grew we adapted her program and included more advanced exercises. Asia nutritional recommendations included a daily calorie amount and a protein target. As she is a vegetarian, she found the protein target difficult to reach so we added a daily protein supplement. Aga was inspired by models in fitness magazines, her initial goal was to tone up but after training for a while she decided that she could compete in a fitness modelling competition. When we started training Aga was doing some things right but was understandably confused by mixed messages in the fitness media. We started by creating a simple program that was easy to adhere to. We began training 1-2 times per and then increased sessions to 3-4 times per week when she decided to enter the competition. Aga really didn’t want to count calories and found cardio boring. So we set her some nutritional guidelines for each meal and a supplement plan. Aga’s program started with resistance and high intensity interval training and was adapted closer to the show to include sessions of strongman style training. Click here to see Aga in action. Amr’s goal was to lose weight. He enjoyed playing tennis and had no experience weight training. The key to Amr’s success was creating a way that he could train and eat appropriately consistently as he travels regularly for work. Amr is based in Eygpt and visits London 2-3 times a year. During these visits we train together and use this time to teach Amr how to adapt his training depending on the facilities available to him whilst traveling. 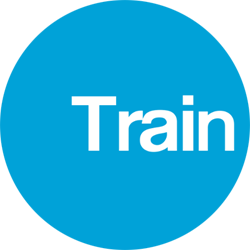 Amr is one of our online personal training members, this allows us to offer constant nutritional and exercise support via email/text and we regularly catch up on Skype. His current goal is to maintain his current weight and train for an Iron Man. Wes had been running on the treadmill 2-3 times and week and eating less carbohydrates but wasn’t seeing any change in his body shape. 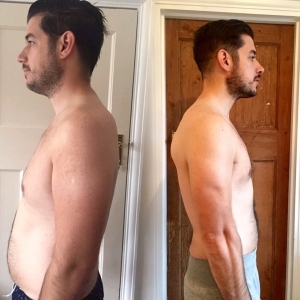 After seeing the results Bill had achieved (above) he decided to start online training with us. After an intake call on Skype we set Wez up with a 3 month training program, established some nutritional guidelines that included daily calorie intake and protein targets and suggested ways that Wez could increase his daily calorie expenditure ( he’s dog Biggie was also happy). We continued to support Wes each week by having a weekly check in and answering any questions via email and caught up on Skype at the end of each month. Wes continues to train with us and we hope to bring you further updates in the near future…..
Alex had a 3 month deadline as he wanted to get into shape before going to University. 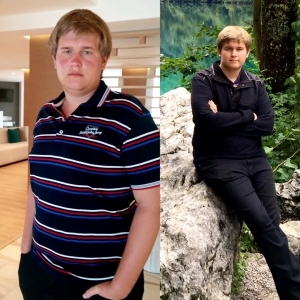 He originally took part in transformation package and lost 11kg. 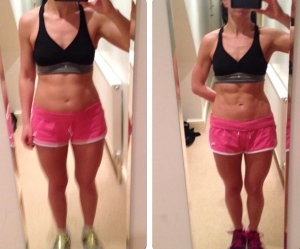 Alex trained 3 times a week and followed set nutritional guidelines. Each session included resistance training using compound movements and conditioning exercises such as pulling/ pushing the sled and boxing. Alex then decided to continue training with us as an online member whilst at University and has lost an additional 6kg so far.